It’s All About Satellites will have the great pleasure of exhibiting DIRECTV at the 3rd annual Albuquerque Comic Con Saturday January 12th and Sunday January 13th at the Hard Rock Hotel & Casino. Come join us in booth 32 at ABQ Comic Con, catch some great DIRECTV programming (yes, we WILL have the playoff games on all day) and meet the many amazing comic book characters and the writers, illustrators and just plain characters that will enjoy the two days of fun at the Hard Rock Hotel & Casino. 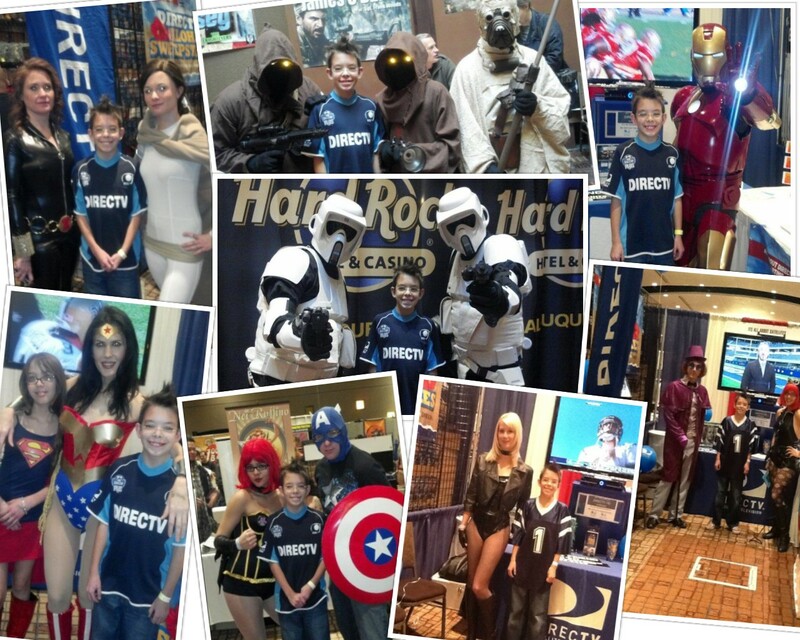 As you can see from the photo collage above, last year we came away with a smile on our faces from the characters we met and the many people we were able to provide with DIRECTV service. Ask about our show special when you come by our booth. When you come by our booth, please donate to help 4 year old Lilly Singleton battle cancer. In May of 2012 she was diagnosed with Acute Lymphoblastic Leukemia.